A traditional clutch-based coaster hub design that eliminates all of the problematic elements on ordinary hubs and only keeps the parts that work. A new, super-strong axle, bearing configuration, and drag mechanism design stops the need for constant repairs. Equipped with external slack adjustment (can be adjusted without removing the rear wheel), and a plastic hub guard. Patents pending. The Cult match freecoaster hub takes the time proven freecoaster mechanism similar design to the Khe, Federal etc with a mixture of needle and regular sealed bearings for maximum strength and improves upon it with custom modifications to further increase the reliability. There is also an additional needle bearing behind the clutch to reduce drag during back pedaling. The match dreecoaster features a cnc machined aluminum hub shell with laser-etched Cult logo, 1-pc chromoly driver with custom needle bearing for durability, 14mm hollow chromoly axle, custom tapered roller bearing behind the driver for maximum side load support and thrust bearing behind the clutch for smoother backpedal. The Cult match cassette hub is a high flange cassette hub featuring a 6061-T6 aluminum hub shell with precision sealed cartridge bearings throughout, 14mm hollow heat-treated chromoly axle with steel axle nuts to prevent stripping, and a 4 pawl 1-pc chromoly driver with proven Primo mix cassette driver, and internals for greater durability and reliability. The Primo re-mix cassette hub is a slimmed down and redesigned version of the popular Primo mix cassette hub that features a lightweight aluminum hub shell with staggered flanges and 3 precision sealed bearings, hollow 14mm chromoly axle and a 4 pawl chromoly 1-pc driver with proven Primo internals. The lightweight aluminium shell runs on 3 sealed bearings while the cassette spins on 2 cartridge bearings and 1 needle bearing to ensure smooth reliable use. This hub is the strongest/lightest hub on the market. It is truly unique, awesome & perfect. A mini version of the super-strong ss cassette hub, it has a high/low flange design, a cnc machined 7075-T6 aluminium hub shell, 19mm cro-mo axle with 14mm studs and an option to upgrade from cr0-mo to titanium driver, and axle. It looks good and weighs a lot less than the regular ss hub, without compromising on strength. The sealed cartridge bearings and 4-pawl mechanism makes it as smooth and free-running as you expect from the legendary Profile hubs. The Profile totem hub is the next step in the evolution of Profile’s famous mini hub, featuring smooth hubshells, matching cones and matching bolt-head covers. The totem cassette hub uses all the same axle, and bearings as the regular mini front hub but with a cleaner looking shell. The totem rear hub weighs almost the same as the mini rear. The Odyssey quartet cassette hub is the redesigned female axle version of the popular Odyssey hazard v3 cassette hub. It features a 6061-T6 aluminum hub shell with angled flanges for increased spoke support, 1-pc chromoly driver with sealed needle bearings and 3 pawl engagement system, 14mm dropout adapter hardware, and a 15mm chromoly center axle with 3/8″x24tpi axle bolts for additional weight savings. The Shadow Conspiracy BTR (Bolt type raptor) cassette hub is made of 6061 hardened aluminum hub shell with 2 oversized bearings for added strength and a longer lasting rolling life. The hub includes a 1pc, 9t chromoly driver with polymer bushings, and holds a 17mm nickel-chromoly axle that accepts 14mm bolts that are readily replaceable. The Shadow raptor cassette hub from Shadow features a lightweight 6061 aluminium shell, with a hollow, nickel plated 14mm axle. The driver has 4 leaf spring pawls for optimal performance. This hub comes with a 14mm hollow chromoly axle, 2 precision sealed hub shell bearings, 1-pc chromoly 4 pawl driver with 3 precision sealed bearings and chromoly axle hardware. The Demolition rogue cassette hub is a low flange cassette hub featuring a lightweight 6061-T6 aluminum shell with 2 sealed bearings, 14mm hollow chromoly axle, alloy axle nuts and hardware and a 1-pc 9T chromoly driver with 3 sealed bearings. The rouge hub also features 4140 heat treated axle that comes with allen key insert end for easy installation, 4 pawls in driver for loud, and clenching engagement, and also 2 sealed bearings in hub sell for durability. The Eclat pulse hub is groundbreaking to say the least, a principal in Bmx cassette hubs and a pioneer in universal hub design. In 2012, Eclat improved the pawls and the driver function to tweak it to perfection. The pulse cassette hub features Eclat’s own patented switch drive system, which enables the hub to run both rhd, and lhd with the same driver and the same hub shell. The 14mm hollow bored axle is hardened and heat-treated, two high quality Japanese bearings secure the smooth spinning, and the body is made out of the fine 6061-T6 alloy. The Demolition new rolls hub is one of the most consistent rolling hubs on the market. Made from lightweight 6061-T6 aluminum, the rolls hub is a low flange hub with 4140 heat treated crmo hollow axle, 2 large sealed bearings in hub shell, and a 9T 1-pc driver with polymer bushing sleeve, and 4 pawls for better reliability, and to provides smaller geared drivers from bearing blow-outs. The long awaited ratchet hub from G-sport. 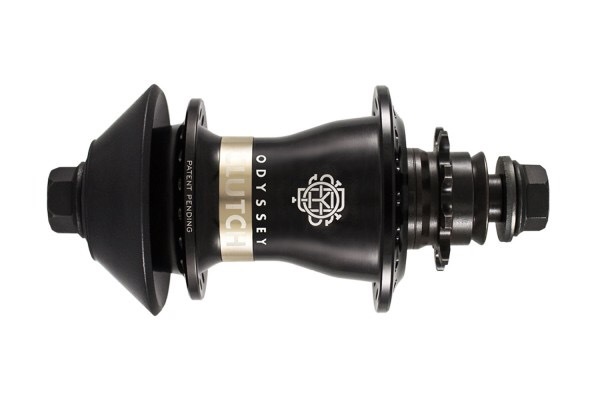 The ratchet hub uses a similar design to the G-sport marmoset front hub with the use of a large 20mm center axle with oversized bearings and a female 14mm axle. The hub also features a machined aluminium shell with sturdy cantered flanges. The driver features three over-sized pawls/springs, needle bearings and the ability to be either right or left side drive by swapping the pawls and springs over. The Primo mix cassette hub is slimmer and lighter than the Primo pro and it features 3 sealed bearings in the hub shell, with 2 cartridge and 1 needle bearing in the driver. It’s a high-flanged alloy cassette hub with a 14mm hollow, heat-treated cro-mo axle, 1-pc chromoly driver with four pawls and springs for consistent engagement. This v2 version of the rant cassette hub is made from lightweight 6061 aluminium with super-smooth sealed bearings, a hollow 4140 cro-mo axle & a unique, inverted 6-pawl system which creates 12 points of engagement for maximum performance & durability. Introducing the new Teck cassette hub from éclat. Featuring a 6061 T-6 aluminum shell and built around a 4130 cr-mo heat-treated female axle system, the Teck Cassette is the cassette hub that every other cassette hub wants to be. Strong, lightweight, functional and refined, available in a wealth of colors, with a standard 9t driver, polymer bushings and right-hand and left-hand drive options. For those that don’t want to change to a cassette hub, this pi v2 rear hub will allow for 36/13 gearing together with a 13T freewheel. Shadow rant v2 hub has already stop production. You might want to consider Raptor V2, or BTR. Nope, we don’t have the driver but we do have the springs, and pawl. Drop me a sms @ 81188529. I’m sorry but we don’t have any freecoaster hub to offer for now. Is the wethepeople justice 2013 hub loud? Is the Eclat Teck Cassette available? and what about the Primo Mix one too? Yes, we still have some over here at our sin ming outlet. Primo mix – there’s last 1-2 pcs at our hougang outlet. what spoke size will i need for the Primo Remix Hub with a 20″ rim? Depends on your rim. It should be 184, or 186 length. hey jialong, do you sel; profile hub shells ? just the shells, and how much? Is the shadow rant v2 still available? which is the loudest hub? Hi i am interested to ask whether is the demolition roll hub is still on stock .